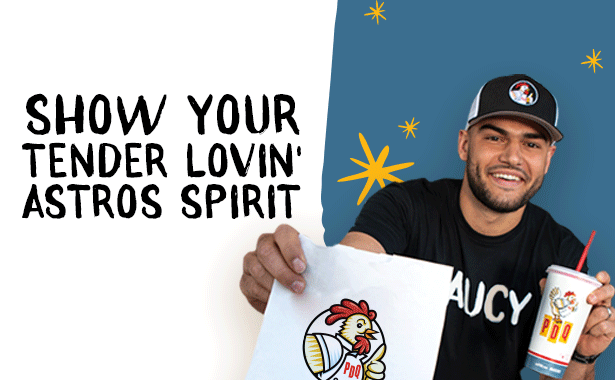 PDQ is continuing our partnership with our Brand Ambassador, Houston Astros World Series champion and All-Star pitcher Lance McCullers, Jr. throughout the 2018 Postseason! Starting Friday, October 5 and throughout the MLB Postseason Playoffs, if you wear Astros gear to any Houston or Austin-area PDQ locations on game days, you will receive a special offer. Please see below for the Post-season Schedule and the different promotions our South Texas locations will be running to support Lance and the Astros!